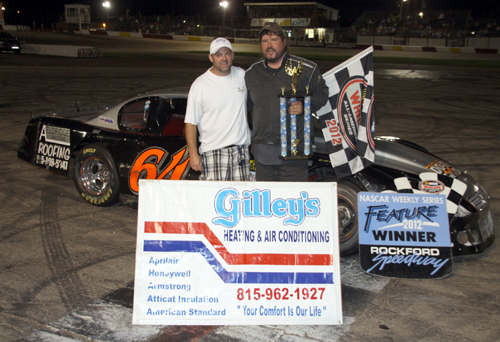 Rockford Speedway photographer Jim Ambruoso snapped this spectacular shot in the Bargain Hunter's Sportman's 25-lap feature event. 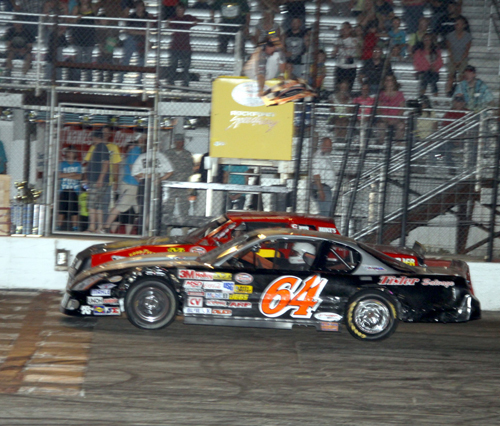 Perhaps the best race of the year saw a photo finish for the win between # 64 Daryl Gerke, Whitelaw, Wis; and Scott Lawver #12 Roscoe, IL as they came to the checker flag. 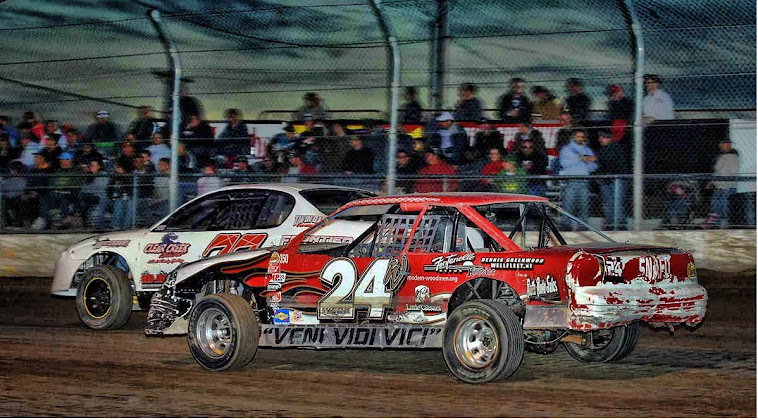 "Without question in all my years as a Rockford Speedway employee I have never seen a race finish such as the one captured in this photo.," Ambruoso stated.